David Stout was sworn in as El Paso County Commissioner for Precinct 2 on January 1, 2015. Prior to working for the County, he worked as a Bilingual Communications Specialist and Binational Affairs Liaison for Texas State Senator, Jose Rodriguez. Stout also worked in the communications field for the United States Conference of Catholic Bishops in Washington, D.C., and has close to a decade of experience in broadcast journalism, having worked with NBC, Telemundo and Univision. Though David is originally from Wyoming, he fell in love with the El Paso area after spending a semester in the borderland as part of the Master’s Degree in Latin American Studies he received from the University of New Mexico in Albuquerque. He always wanted to come back to this amazing community, and was finally afforded the opportunity to do so in 2010, as he took a job as a News Reporter with Noticias 26 Univision. Though Stout never envisioned himself becoming an elected official when he came to El Paso, public service and giving back to his community have been part of his life as long as he can remember. Whether it was planting trees in a burned forest, picking up trash on the side of the road or preparing and delivering meals on wheels to the elderly, his parents instilled in him the importance of caring for others and for one’s community. Stout carried those lessons with him throughout his professional career and attributes much of the love he has for being a public servant to that upbringing. During his time as County Commissioner, David has continued along that same path. He prioritizes issues such as affordable access to healthcare, serving our veterans, economic development, paying people what they deserve and quality of life. He has proven that he is dedicated to helping as many people as possible within the community he represents and that he sincerely cares about the future of El Paso. In the area of healthcare he worked tirelessly during his first year in office to find a solution to the problems El Paso Children’s Hospital was facing, and helped bring the hospital under the wing of the County and University Medical Center, allowing Children’s to continue its mission to serve so many youngsters here in El Paso, instead of having to send them away for treatment. His leadership as the Vice Chair of the Local Mental Health Authority, Emergence Health Network, has brought about positive changes not only in the direction in which the organization is moving and the goals they are setting for themselves, but also the creation of new programs such as Crisis Intervention Training for police officers, which will help them better understand the mentally ill when they come across situations in which they are involved. His work on quality of life issues has also set Stout apart from the rest. 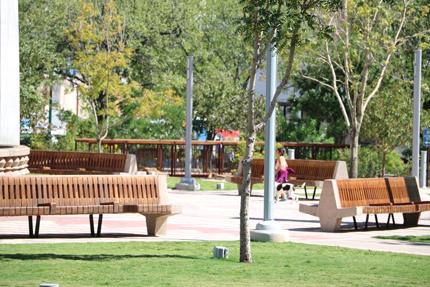 Parks have always been a priority for David, and his leadership has brought about a number of positive changes at Ascarate Park, including a level of investment in the park that has not been seen in recent years. 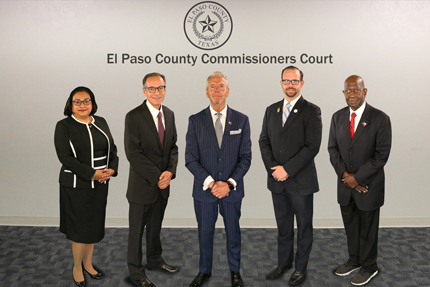 He also has been at the forefront of the battle to create a Community ID that would improve the quality of life for thousands of residents in El Paso County by allowing them access to a number of services they otherwise could not attain, not to mention the improvement in public safety and the economic impact that would be felt if more people had access to an identification.